Is The Simplicity Of The Biosync Fold Away Strider The Reason For Its Wide Appeal? 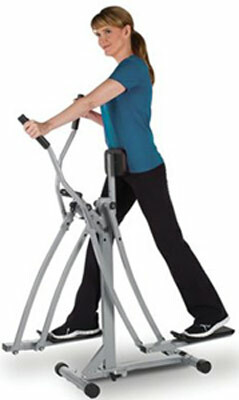 The dream exercise machine for many people is one that will sit in a corner nicely and target every problem area with the minimal effort, which is why the Biosync Fold Away Strider with Intelligent Heart Rate Monitor is such an interesting option. This strider is said to help pretty much everything from head to toe while measuring heart-rate with an “intelligent”monitor”, displaying data on a LCD screen and keeping users comfortable with its padded body cushion.